Ho, Ho, Ho… Merry Slashmas! Friday nights on Horror Channel get bloody as the UK’s only dedicated TV destination for horror fans, ushers in four UK TV premieres for December, including a Christmas Day offering of Steven C. Miller’s demented Santa slasher SILENT NIGHT, which stars Malcolm McDowell and Jaime King. The other knuckle-whitening premieres are Kaare Andrew’s CABIN FEVER 3: PATIENT ZERO, Todd Levin’s home-invasion chiller STATIC and John Geddes much admired Zombie film EXIT HUMANITY, with Brian Cox and Bill Mosely. Plus, the Boxing Day film is the Network Premiere of Steven Spielberg’s heart-pounding road-chase thriller DUEL. A remake of the horror classic Silent Night, Deadly Night, Malcolm McDowell and Jaime King star as a small-town sheriff and deputy on the hunt for a murderous Santa Claus terrorising their community on Christmas Eve. But with the streets full of Santas for the annual Christmas parade, the killer is hiding in plain sight. 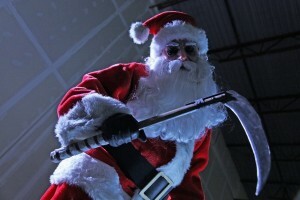 He’s made his list and the naughty are going to pay with their lives. It’s also loosely based on the real life Covina massacre of 2008. Grieving writer Jonathan (Milo Ventimiglia) and his wife Addie (Sarah Shahi) have moved to an isolated village to get over the death of their three-year-old son. Relying on work and alcohol to get over the tragedy, they’re surprised to find a terrified young woman (Sarah Paxton) on their doorstep one night. She claims she’s been chased a gang of masked men… but there’s more to her than meets the eye. Directed by Todd Levin, this is a worthy addition to the home invasion genre. Returning home after surviving the horrors of the American Civil War, Edward Young (Mark Gibson) enjoys only the briefest amount of happiness with his family before tragedy strikes. His farmland is overtaken by a swarm of the living dead costing him his wife and child. As he hunts for his missing son, Edward struggles with his own sanity, his fate and the future of mankind as he begins his personal journey encountering a power crazed madman, General Williams (Bill Moseley). Narrated by Brian Cox. Duel was Steven Spielberg’s second full length feature and the one that ignited his career. 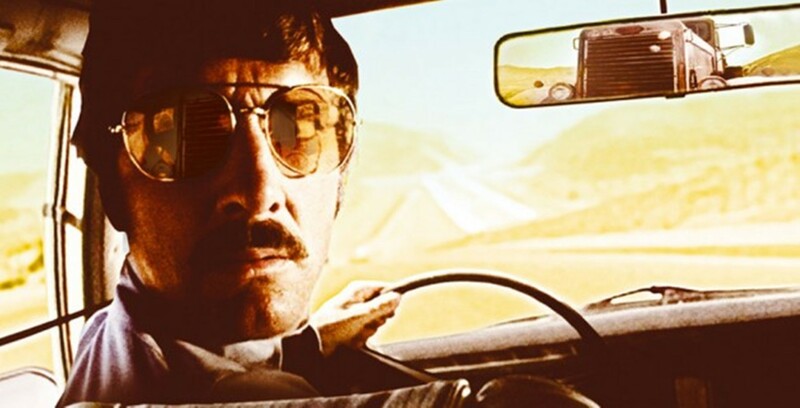 Based on a true short story and originally aired as a TV film, it follows (quite literally) salesman David Mann (Dennis Weaver), as he drives cross-country. He encounters a tanker driven by an unseen driver and unable to escape the demonic big rig, David finds himself in a dangerous game of cat and mouse with the monstrous truck. When the pursuit escalates to deadly levels, David must summon his inner warrior and turn the tables on his tormentor.